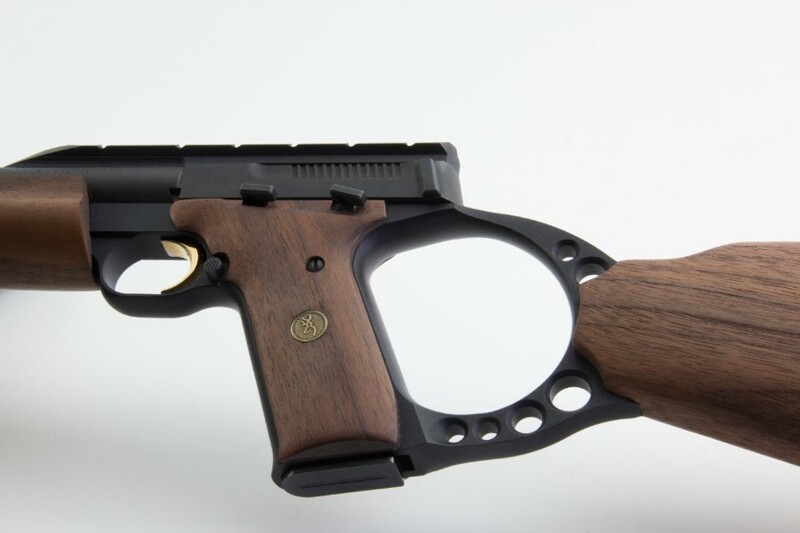 Features a target crown, matte blued finish, heavy bull barrel, an oil finish walnut stock, integral scope rail, detachable box magazine, blowback semi-automatic operation, and a single action trigger. RED DOT SIGHT NOT INCLUDED. Rock steady. The Buck Mark Target rifle is built with a heavy bull barrel with a target crown, which an excellent pairing with the integral optic mount; a combination that provides optimal accuracy for targets, squirrels, rabbits, or whatever needs the precise application of .22 caliber lead.